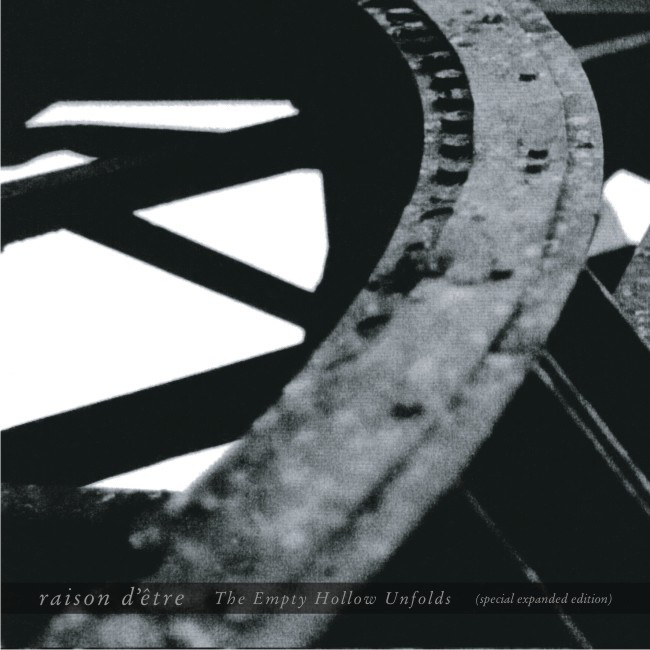 The ambience of grim desolation: With 'The Empty Hollow Unfolds', originally released in 2000 on Cold Meat Industry, the ubiquitous Peter Andersson continues his exploration of internal desolation, be it of a spiritual base or purely of self. "The Empty Hollow" in question seems to be the soul; a soul that has unfolded into a vast, blasted industrial landscape, littered with warehouse debris that solemnly clatters like wind chimes born of refuge. The darkened shadows cast on 'The Empty Hollow Unfolds' are of an eerie, almost sinister allegiance, as if the maw at the center of infinity is yawning wide and the haled breath freezes souls; brittle souls that shatter before the immense veracity of such imposing internal devastation. Bones clang over chain-link fences. Metal creaks unsteadily. Bleak is an understatement, as the vast scope of emotions presented here is a sonic lament that lashes the soul. 'The Empty Hollow Unfolds' is a grim travelogue from the land where the sun never rises; grievous keyboard passages overlaid by factory noises and the trademark chanting monks turns this into some of the most unsettling listening since the days of Lustmord's 'Paradise Disowned'. 'The Empty Hollow Unfolds' was voted as the single best release in the history of Cold Meat Industry, making it an important milestone and point of reference. The expanded reissue adds two previosly unreleased tracks to the album. The artwork is, as the original release, styled with somber photos by Martin Pels. Limited collector's edition (100 copies) comes with a bonus CD containing live material from 2000-2001.